There are countless business that are up and running on the web thanks to free web hosting. The big site building platforms like Wix and Webs have a free tier built into their business model. It gives them a chance to grow their customer base, and it gives business owners a place to try out new ideas and get their name out there. The one thing that every website must have is a host. In the complicated olden-days of the internet, you’d have to know some pretty tricky stuff to get online. That’s all changed now thanks to huge investments by companies like Weebly and GoDaddy to make user-friendly sites with great customer service options to help you. Sometimes you’ll be guided by an easy to follow wizard, sometimes you’ll have online chat with a real person! Or you can even request call backs. These are very helpful features from companies who know that giving a magical customer experience is the best way to convert free website users into upgrading to a paid tier. A while back, hosting was expensive, and many design agencies made great profits marking up their hosting services. Thanks to the growth of free website builders, hosting has become democratized and much more affordable. You won’t pay more than $25 a month on all the major site builders, such as Squarespace, Wix and Webs. Your website host is the key to the entire endeavor; without a reliable host, your website will hardly be seen by anyone. After all, what good is a site with 50% downtime? What you want is to find a host with reliable uptime, a short response time to problems, and plenty of security. Oh, and you want it for free. Before you say "that's impossible" read a bit further. Many website builders offer free web hosting. 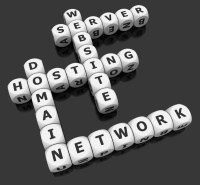 This might not always include customized URLs or domain names, but their hosting is sufficient for most purposes. Because you receive hosting just for signing up, it's easy to bundle the entire package together in one easy to use collection. Website builders such as Wix, Weebly, and Webs are all completely free, and also include free web hosting. These website builders make it easy to get a page up and running. There's no need to go through any sort of registration to get hosting finalized, nor do you have to worry with potentially costly monthly payments. Then there are website builders such as Squarespace, Moonfruit, FatCow, and Homestead. While these builders ultimately require a small monthly fee after the initial free trial, they also include free web hosting in the bundle. The service you pay for is the ability to use their web design tools, not for the hosting. A good website host will have several things: sufficient storage, support, security, and good uptime. Your site takes up space on the internet. The larger and more expansive your site, the more storage it requires. If you run a website that is heavily centered on graphics, images, or videos – for instance, a photography portfolio site – then it will take up a lot more space than a single-page text only site would. A good web host will provide enough storage to contain your entire website and then some. All the major players now give ample space for great fees. Sometimes things happen. Your site goes down unexpectedly, a glitch happens within the framework, or a dozen other possibilities that never occurred to you. When this happens, you need to be able to contact a support team to help you straighten out the problem. The great things about web hosting with a company like Weebly or Wix is that there 24/7 access in a variety of forms to help you straighten out any issues that arise with your site, no matter what time of day it is. Of course, be fair to them, its tough to offer phone support 24/7 to millions of customers, but they are making steps to be as perfect as they can. For instance, Wix now offers a telephone call back service, so you can speak to a real Wix operator. Or, you could hire a Wix expert from the Wix Arena, so you’ve got options to get all the support you need. Security is super, super important. Vulnerable websites are the number one target for malicious software and hackers across the web; web hosts that slack off in their provision of security are quickly overwhelmed by cyber attacks which threaten all of their users. Finding a host that provides security features such as server-side firewalls, password protection, and more is absolutely essential. All web hosts go down at some point. This is often for scheduled maintenance, but while they are down, no site on their network is available. Whether you're running a business from your website, or a personal blog that keeps your family up to date on your travels, you want to ensure it's online as much as possible. Finding hosting that provides reliable uptime and keeps scheduled outages to a minimum can save you a ton of headaches. All of these features are provided by the hosts listed above. Whether you use Weebly, Wix, or any of the other website builders, you can count on reliable, free web hosting forever, if that’s your thing. However, the service you get for just a few dollars represents amazing value. Check out the top website builder reviews to see which one suits your hosting needs.